Meet Your Estimator Brandon King! Brandon King was born and raised in Manchester, New Hampshire. He worked as a technician for another company, and quickly advanced to Operations Manager. During that time he oversaw a crew of more than 20 technicians and assistant technicians. Brandon managed both commercial and residential projects while ensuring a smooth customer service experience. Now Brandon works here, at Peniel Environmental, where he is our Director of Mitigation. "One of my proudest moments working for Peniel would be when I was responding to an elderly woman's water damaged home. When I arrived, she was in tears that her home had so much damage. Over the course of three days, our team turned those tears into a smile. We took great care to preserve as much of the home as possible; she was pleased with the care we provided. Helping people each day makes me proud of what I do!" Working at Peniel has been great, lots of learning, fun, and excitement. I've learned 3 valuable lessons here 1. Don't let your failures define you. 2. If opportunity doesn't knock, build a door! And 3. Never stop learning! When Brandon is not in the office or the field, he's usually enjoying his family. He is an avid hockey player, and you may also find him on the golf course. Meet Your Estimator Francis Lescault! Francis was born and raised in Manchester, NH and graduated from West High School. He served four years in the Marine Corps and was honorably discharged as a Non-Commission Officer of Infantry Marines. Francis returned to work in the Property Restoration Industry and started as a field assistant and as gained more knowledge and skills of the trade, worked his way up into a management role. When Francis is not working at Peniel, he enjoys spending as much time with family, attending his vegetable garden, camping in Northern NH and hunting during autumn. Meet Your Estimator Earl Cook! Earl Cook has been with Peniel Environmental since its inception as a testing and brokerage company since 2008. Earl worked for many national and local businesses offering similar services to Peniel but didn’t feel comfortable with service levels or customer support. That is when Earl with his wife and owner of the company decided to bring Peniel to the service side of the industry, offering water/fire/ mold mitigation, asbestos removal contaminated soil removal, chemical clean up, trauma scene clean up and clandestine lab cleanup to the fore front of services offered by Peniel. During their nine years in business, Peniel has grown to be a 35-person company. Earl bases the success of Peniel to the team of people he surrounded himself and the company with during its growth. Earls responsibilities now include looking at projects for particular clients as well as large and small projects that fall into what we call specialty projects throughout New England and upstate NY. Helping to build relationships throughout our industry building a stable future for his family. When not work (which isn’t often) Earl enjoys kayaking, camping, vacationing with his wife. 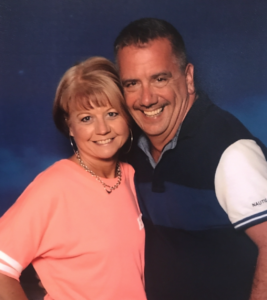 Earl and Gail both love spending time with their Daughter Tanya who is Peniel’s book keeper, Brandon who is an estimator/project manager for the company, Lauren, our daughter in-law who handles our social media, our three granddaughters and two dogs Nala and Sadie who you will see traveling with Earl regularly. Earl Currently resides in Wilton with eyes on a summer house on Lake Champlain. Meet Your Estimator Brandon Cook! 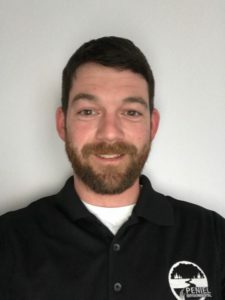 Brandon Cook has been with Peniel Environmental for six years. Before Peniel Environmental, Brandon was working at Alene Candles in Milford as a line leader. He managed crews up to six people on the production end of candle making. 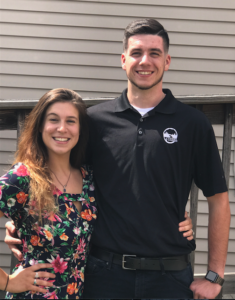 After working at Alene for about four years, Brandon got offered the opportunity to work in the field at his father's company Peniel Environmental. Brandon became focused on learning as much as he could and using it to help him move up in the enterprise. Brandon worked in the field for about four years; where he was able to learn more about mold, asbestos, crime scene, water, and fire jobs. Brandon then moved up to be an account manager, estimating, and sales. He loves sales and now focused on building a larger book of business and continuing to grow Peniel. Working at Peniel has helped develop his networking and speaking skills tremendously. One of Brandon's favorite things about Peniel would be our "e will take care of you aspect because we always try to make sure our customers are satisfied before the job is complete." One of Brandon's proudest moments at Peniel, "I was at a client's house with other inspectors, and mold professionals and no one was able to identify where the mold was coming from except for me." When Brandon is not working for Peniel, he enjoys being outside. He enjoys hiking with his wife Lauren and dog Parker. Camping with family, and when he is not with his wife or dog he likes mountain biking, and golfing. Meet Your Estimator Jason LaBranche! Jason LaBranche has been with Peniel Environmental for two years. 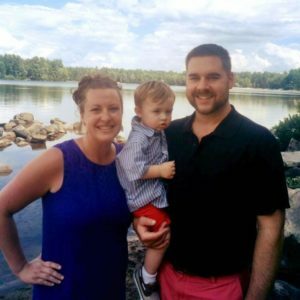 Before Peniel Environmental, Jason was an Industrial Hygienist and later moved to the contracting side of the business. Jason developed the Asbestos Division at his former employer which still operates on the South Shore of Massachusetts. Coming to Peniel was an easy decision of Jason as the family aspect of the company was intriguing and ultimately the reason he came. 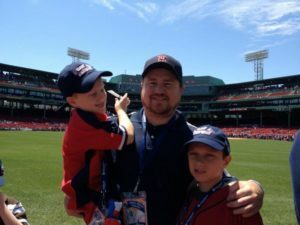 At Peniel, Jason is mostly responsible for account management and project management on all large commercial asbestos clients throughout NH, Massachusetts, and Maine. Jason's book of business extends from the homeowner with asbestos in their basement to the large industrial projects such as hospitals and schools. No job is too big or small of Jason. Jason values the client relationships he has formed over the years and strives to keep that relationship strong. When Jason isn't working hard for Peniel, he is volunteering his time to the youths of Newmarket NH. Jason currently is the volunteer Director of the Youth Basketball and Baseball Programs in Newmarket. Jason also coaches and AAU basketball team on the Seacoast. Jason is married with two boys ages 10 and 14. He also has two dogs both Labrador retrievers. On days he is not coaching or working Jason spends it with him family at their camp in Milton NH. He is a lifelong resident of Newmarket NH.